The first recipe of the year is a great classic in france. We are used to eat it at the end of the sunday familial lunch or for the tea time. Everybody appreciate it ! Before beginning, specially if you are a beginner, I highly recommend you to watch first the video below about tips you have to know to success. It's really important to listen to my advices to avoid to fail. Even without wheat flour and without milk we can cook delicious pastries. You doubt it ? Cook this recipe and enjoy it. And I bet you will change the way you see your glutenfree diet. No more sadness here ! You will discover that the greed is also glutenfree ! Let's build up a new adjective. These eclairs worth it. 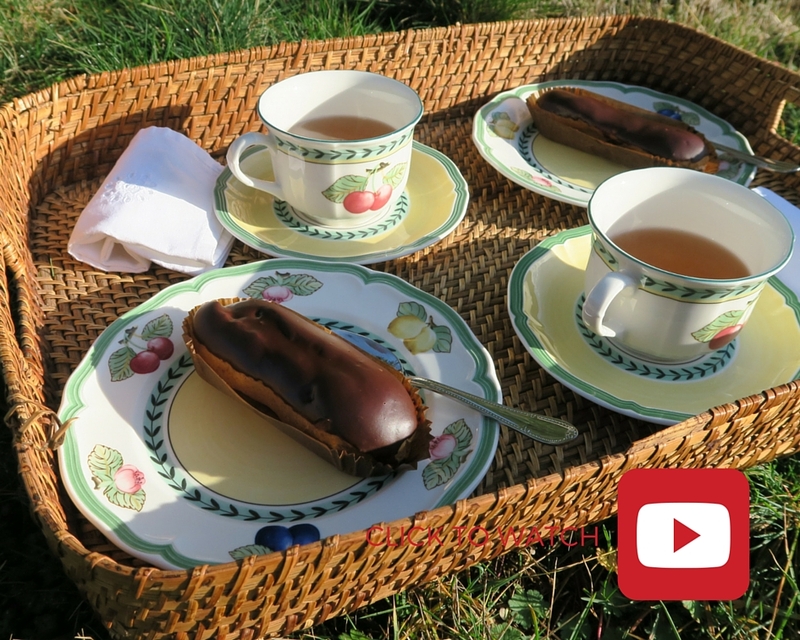 Let's talk about "glutenfreed" chocolate eclairs !